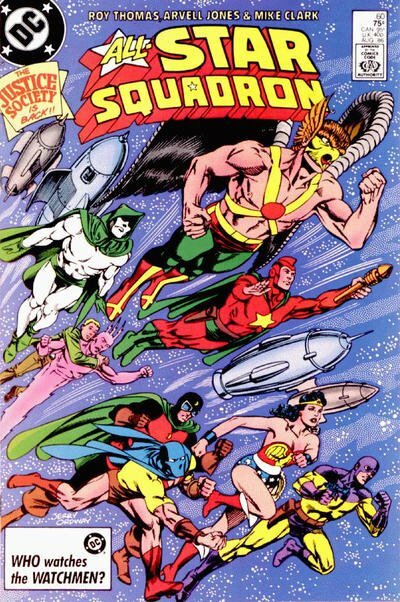 Click Here To See All-Star Squadron #60 Comic Book! 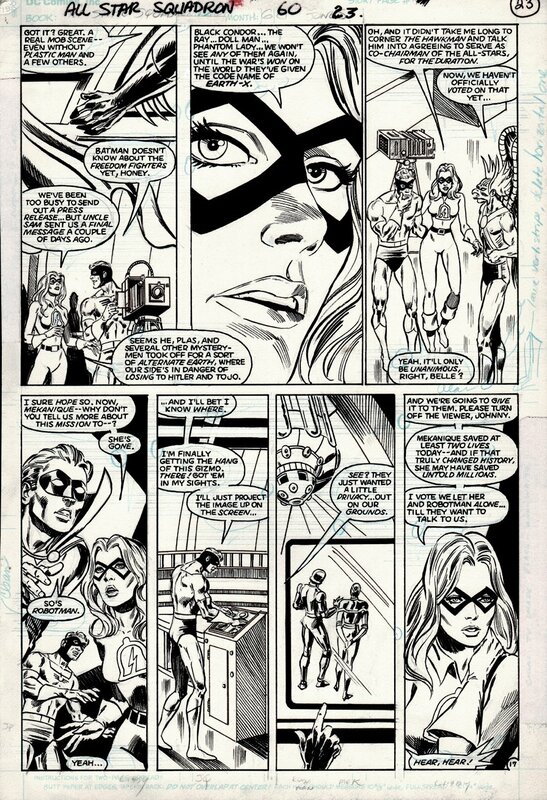 Check out this very nice 1986 KEY "CRISIS" page here, which was penciled by Arvell Jones, and inked by Tony DeZuniga, from the CLASSIC story titled: "The End of the Beginning!" This nice page features Johnny Thunder (Earth-2); Liberty Belle [Libby Lawrence]; Hawkman [Carter Hall]; Robotman [Robert Crane] and the very mysterious Mekanique, who explains her mission to the All-Stars, who aid her, not knowing that it would change the future she came from (and in essence start the post-Crisis history for the Squadron on the single earth)! Just a nice page! ALL art on our website (including this one) are able to be purchased with VERY fair time payments, and trades are always considered towards "ANY" art on our website! Just send us an email to mikeburkey@aol.com and we can try to work something out.